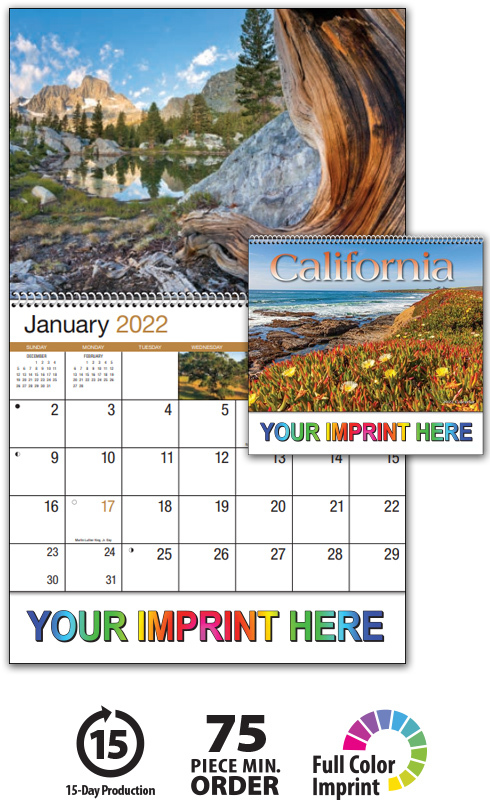 Basic custom imprint setup & PDF proof included! 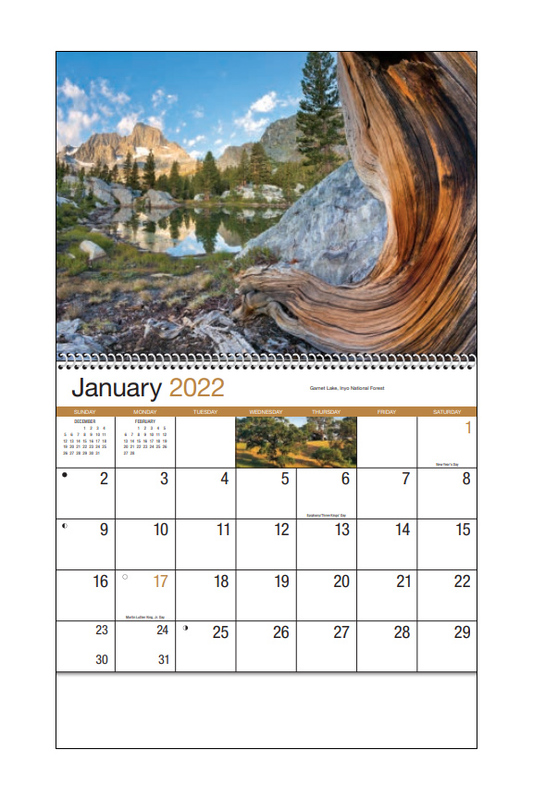 13-month wall calendar. 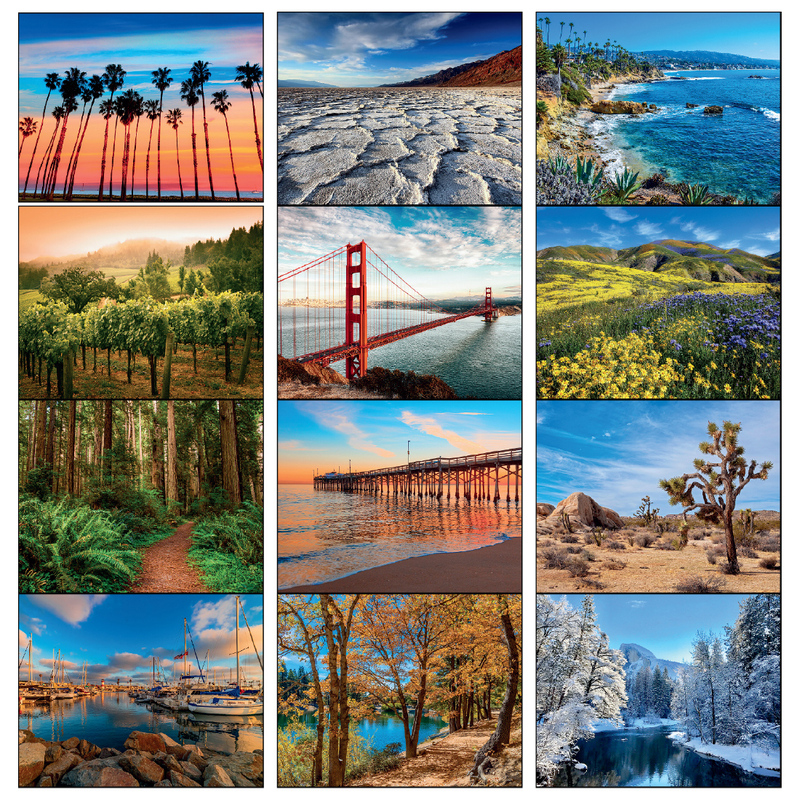 Truly "The Golden State," this personalized wall calendars photos illUStrate the best of California. 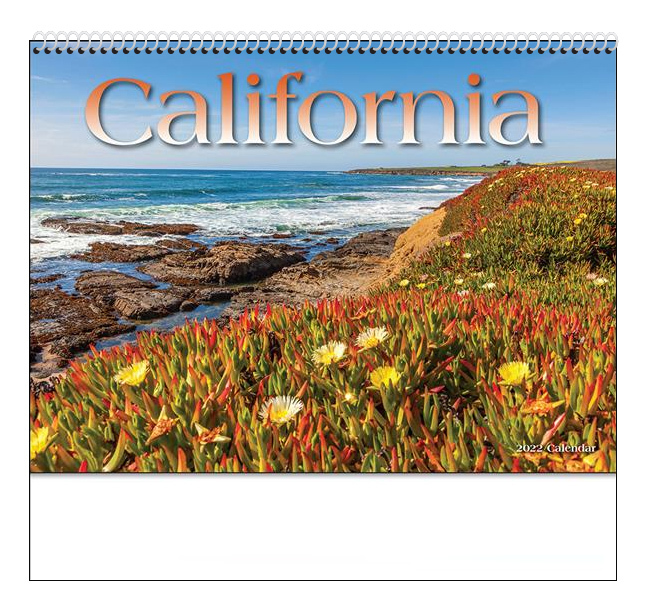 Take an entire year to enjoy the wonders and beauty from the bay to the border in this California Calendar.